Customize your program from a wide array of classes taught in French and a limited selection of English-taught courses. Classes at our affiliate institutions in the Paris university system are selected for the APA course catalog after carefully reviewing course descriptions, syllabi, faculty qualifications, and evaluations from previous students. Regardless of instruction language, these courses are taught by Paris university faculty for French students rather than an international student setting for a truly immersive experience. Exclusive to APA students is a one-week add/drop period to choose courses that correspond best to their needs and interests. Take up to 10 classes during this "shopping" period and choose your favorite three or four at the end of the week to keep! The French academic calendar runs from September to mid-May and includes a one-week fall break in October, a two-week Christmas break, a one-week winter break in February, and a one-week spring break in April. Students enroll in 4 courses (with an optional 5th course per semester). Each course is worth 4 credit hours. Mandatory: Designed for students with an approximate A2 starting level, this course is the fast track to improved French oral and written comprehension and expression. A mix of group classes and one-on-one lessons, instruction is tailored to each student’s precise language needs. Take courses specific to your major or electives at our Paris university and higher education partners. These courses may be taught in French or English. It is possible and common to take classes at multiple universities. This political science course discusses how the country’s past politics have shaped today’s current events. To ensure an academically exceptional experience, we partner with some of the most reputable universities in Paris, such as the Université Paris Dauphine, which is top-ranked for economics, and Paris Nanterre, known for its academic excellence in liberal arts. All the universities are conveniently located and easily accessible via public transportation. As part of our program, you have the same enrollment status as your French counterparts. This means you get a university student card, which gives you plenty of perks such as student restaurants, and discounted prices for plays, movies, and museums. The University of Paris Nanterre offers its community a rare exception in Paris: a big campus, located a few steps from the business district, La Defense, and it’s easily accessible via public transport. One of the 13 successor universities of the University of Paris, the university is commonly referred to as Nanterre. 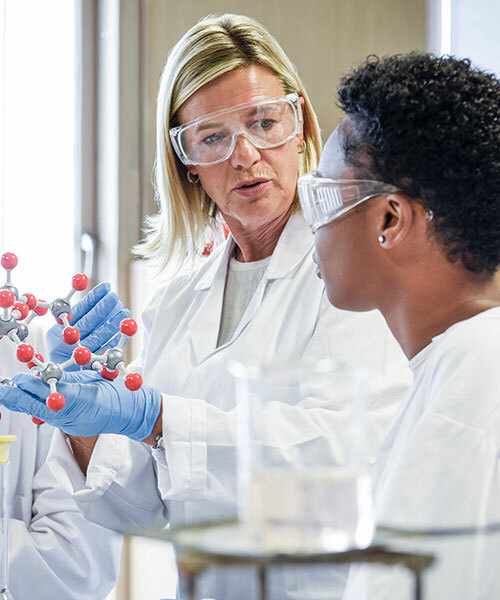 Most classes have a similar teacher-to-student ratio as a U.S. liberal arts college as they seek to ensure that all classes are of a smaller size. Nanterre is seen as a place of life and culture, modeled after the US-style campus with its swimming pool, parks, and theater. The University is also universally known for its research in various fields, including acting, anthropology, art history, cinema, economics, history, geography, law, linguistics, literature, philosophy, political science, psychology, sociology and theater studies. Notable alumni include former President Nicolas Sarkozy, former Prime Minister Dominique de Villepin, DJ David Guetta (Bachelor of Law), Head of IMF and Former Trade Minister, Christine Lagarde. Daniel Cohn-Bendit, who sparked “the French May” 1968 revolution as a student, is a notable administrator there. Over the years, Paris 10 has had famous names among its faculty, most notably sociologists Alain Touraine and Paul Ricoeur, as well as constitutional-law specialist Guy Caracassonne. Known worldwide as “the Sorbonne” , the university is one of the inheritors of the former arts, languages, and humanities faculties of the University of Paris. The French cultural revolution of 1968, commonly known as “the French May,” resulted in the division of the world’s second oldest academic institution, the University of Paris, into 13 autonomous universities. 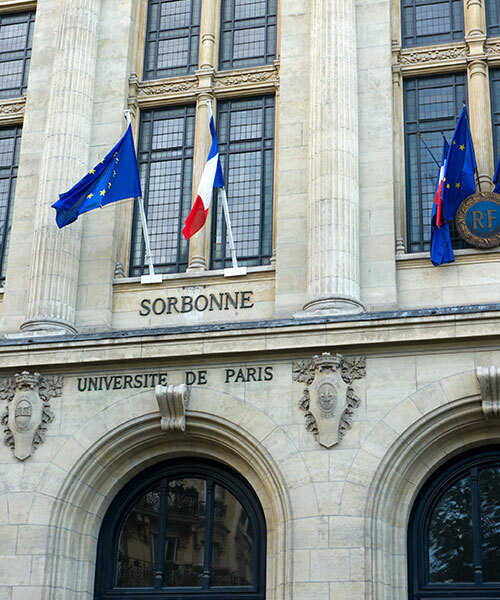 Recently, Université Paris-Sorbonne (Paris 4) and Université Pierre et Marie Curie (UPMC) (Paris 6) merged to create Sorbonne Université. Paris 4 is known for some of its more prestigious departments, such as Art History, History and Musicology and UPMC is the largest scientific and medical complex in France. Several university rankings have regularly put UPMC at 1st place in France, and it has been ranked as one of the top universities in the world. Active in many fields of research, UPMC has regularly won awards at the highest level and maintains many international partnerships across all continents. It currently has more than 125 laboratories and has hosted and educated over 18 Nobel prize winners in the sciences, including Pierre and Marie Curie and their daughter Irène Joliot-Curie. UPMC is best known for biology, chemistry, computer science, mathematics and physics. The agreement between APA Paris and the new Sorbonne Université allows access to STEM courses and history, art history and musicology courses for majors and minors. Paris 8 Saint-Denis has become a major teaching and research center. With its focus on humanities, human sciences, arts and social sciences, the university’s main objective has always been to give students a better understanding of the modern world while enabling them to achieve long-term integration into society. The innovative nature of the research undertaken at Paris 8 Saint-Denis can be traced back to their pioneering work in fields such as psychoanalysis, urban planning, geopolitics, cinema, plastic arts, and gender studies; disciplines which at the time, had not yet found a place in other French universities. To this day, Paris 8 Saint-Denis still insists on maintaining a strong link between research and teaching, adapting teaching methods to different kinds of audiences, and providing education for everyone, at every stage of life. Over the years, Paris 8 Saint-Denis has had famous names among its faculty, most notably Roland Barthes, Gilles Deleuze, Noam Chomsky and Michel Serres. Founded in 1968, Dauphine has specialized in decision and organizational sciences including management, economics, law, political science, sociology, applied mathematics, management information systems, and languages. Dauphine is nationally ranked No.1 in economics, business, and management. Though public and open to all, Dauphine is a rather selective university. Similar to a U.S. institution, Dauphine has a self-contained campus on which students find all they need to learn, grow, study, carry out research and build a well-rounded academic and personal life. Libraries, sports facilities, and cafeteria services are all available on-site. Named after the great philosopher of the Enlightenment, Paris Diderot was established in 1971. Situated along the Left Bank next to the Bibliothèque Nationale de France, this premier research institution boats 100+ laboratories and 7 university hospitals working some of the country’s top research bodies such as CNRS, INSERM, CEA, INRIA, Institut Pasteur, and IRD. In addition, Diderot is home to the city’s largest library, spanning five floors of the Grand Moulins building. APA offers courses at Diderot in STEM, computer science, health sciences, history, Asian studies, and English and American studies. Catholic University of Paris is a private, multidisciplinary university steps away from Paris’ Latin Quarter, the Luxembourg Gardens, and St. Germain des Prés. The university is particularly recognized for its Institute of Science and Theology of Religions whose mission is to advance the scientific study of philosophy and theology of religions in general, as well as the different forms of atheism. INALCO is considered the most challenging place to learn oriental languages in France. Students seek out courses here in African, Middle Eastern, and East Asian civilizations. Ninety-three languages are taught at the INALCO, covering Asian, African, Eastern European, South Pacific, Finno-Ugric, and Native American languages. The École du Louvre is a French “grande école” located in the Aile de Flore of the Musée du Louvre and is dedicated to the study of archaeology, art history, anthropology, and epigraphy. Admission is usually based on a competitive entrance exam after high school. However, APA Paris can apply for year-long students who have taken the needed prerequisite courses and are majoring in art history. Partial fees are covered for some performing arts courses. The Conservatory provides specialized, high-quality instruction for musicians, dancers, and theater arts majors. Their role is to help students prepare for a future career in these fields. All professors are accomplished performers in their field and are certified and respected for their knowledge in their subject. 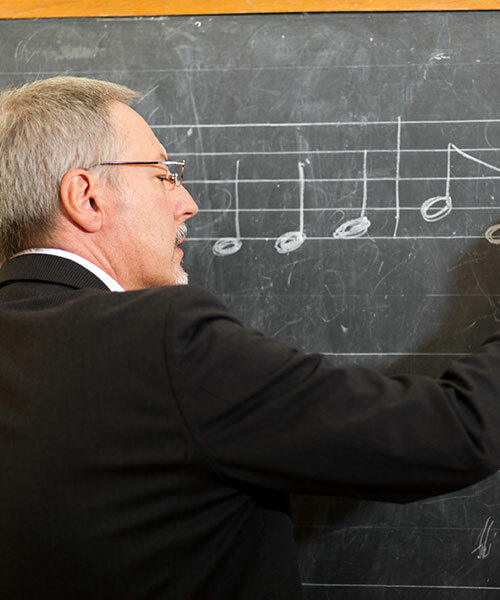 For Music students, all instruments are taught (a musical repertoire is requested). In the past, APA Paris students have studied the organ, violin, piano, and percussion. Many go on to perform in either the symphony of the Sorbonne or municipal symphonies while studying in Paris. Partial fees are covered for most studio art courses. From beginners to advanced photographers, courses at Studio Vermès use the city as its inspiration. Various techniques and formats will be taught, including a black and white lab. Advanced photographers are asked to submit a portfolio. This workshop is the former studio of the artist Henri Matisse. Located across the street from the APA student center, the beautiful Art Deco and Art Nouveau façades cannot be missed! Along with drawing, sculpture, ceramics, and mosaics, students have the option to sign up for drawing or sculpture classes with a live model. Develop skills and gain experience in a French workplace setting by extending your stay and participating in an internship. Students choosing this option complete a two month, full-time professional summer internship following their time with APA in their preferred industry. Since internships take place in a French language work environment, students must be able to demonstrate a sufficient language level.